Dragon Keeper | What's On My Nightstand? This young adult novel is about a young slave girl in ancient China who works for the emperor’s Dragon Keeper. The current Dragon Keeper spends so much of his time bemoaning how little respect his title now confers and drinking that he has little left to take care of the resident dragons. Instead, he has his slave girl feed them for him. She ends up befriending one of them, and they run away together when the dragon’s life is threatened. This is a wonderful story that I couldn’t put down. The setting is fascinating, especially the culture. The dragon is a traditional Chinese dragon, which is unique to most books about dragons that I’ve read in the past. The slave girl Ping is naive, yet she has a good heart. I loved her pet rat Hua as well. 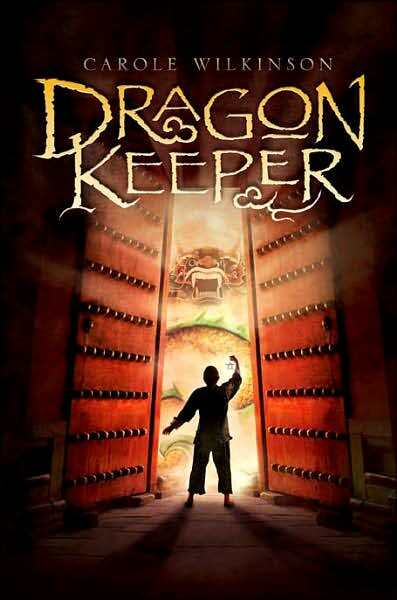 I highly recommend Dragon Keeper to anyone looking for a good young adult fantasy novel to read. Though the library does not own this title, we do own the book from which I found out about this wonderful book: 1001 Children’s Books You Must Read Before You Grow Up. This is another book I recommend for people interested in books from early reading (3 years old) to Young adult (12+). It gives great one page summaries of each book, along with the genre and nationality.